Candlewick Press began publishing in 1991. According to their website, Candlewick Press is owned and operated by their employees. They are the fastest growing and largest independent publisher in the world and produce "the highest-quality books possible". Summary: AMAZING MONTY is about a first grader and the world he lives in. Monty (mc) has asthma. This is addressed in the book by the circumstances Monty is in and by his actions. In the story, we learn Monty can't have pets with fur because of his asthma. He is involved with losing his first tooth, acquiring 2 pet parakeets, and wondering what gift to give his not yet born baby sister. The story starts slow, but is interesting. The characters are sweet. Everyone is perfect. The story flows smoothly, but it's too long to hold a first grader's attention. (I fell asleep.) I liked the illustrations by Anik McGrory. They are in black and white and have a soft delicate sense about them. 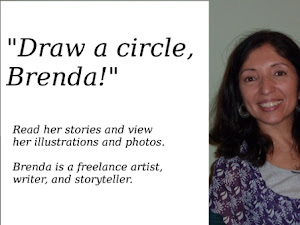 Great, thanks for all the info on Candlewick and book review Brenda!